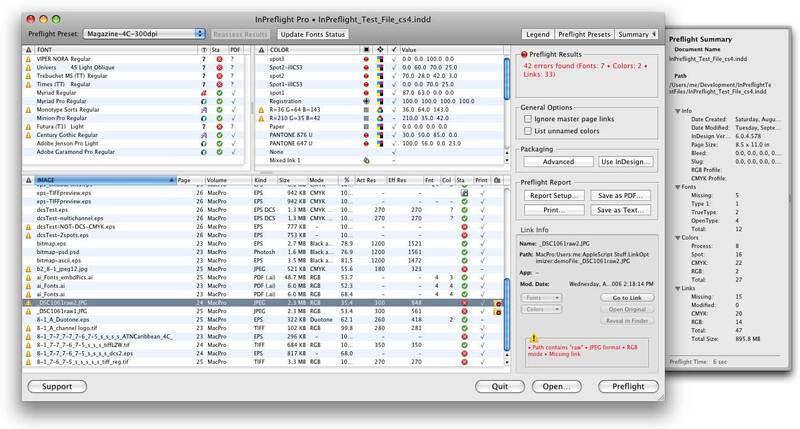 InPreflight quickly checks your files and lets easily locate potential problems, including hidden issues not detected by InDesign. The detailed fonts, colors and links info is shown in one window so you don't need to switch between several windows and panels. 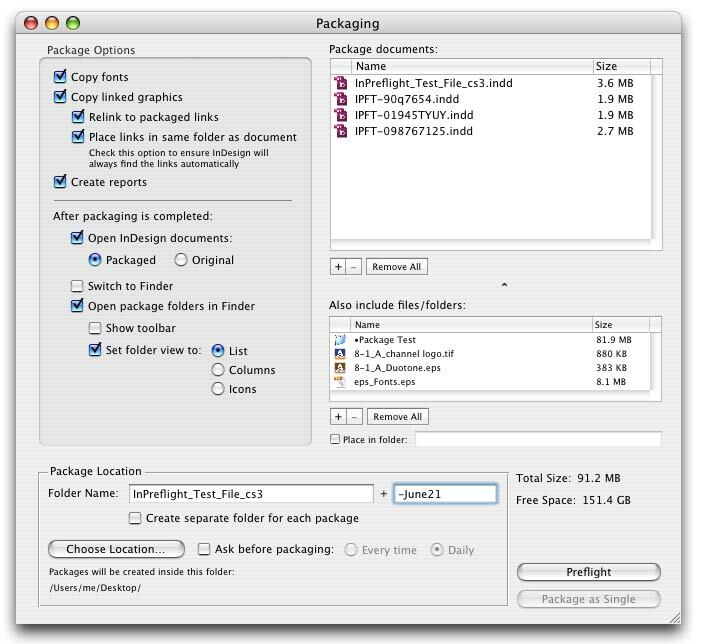 InPreflight can package several InDesign documents into one folder, eliminating the need to collect the same links multiple times for each design. It can save gigabytes of space and hours of production time. Send collected jobs over Internet and locally via seamless integration with Deliver. View info on all document fonts, colors and links in one window – no need to go through separate palettes and dialogs. Embedded fonts in Illustrator files can cause costly delays if you send packaged InDesign jobs to service providers, as Illustrator can report such fonts as missing. Your printer will require to provide missing fonts, which can result in additional charges and missing deadlines, that can translate into hundreds of dollars lost. Compressed TIFF and EPS can be incompatible with some output equipment, such as imagesetters and printers of certain models. It can result in costly delays, missing deadlines and additional charges by service providers. 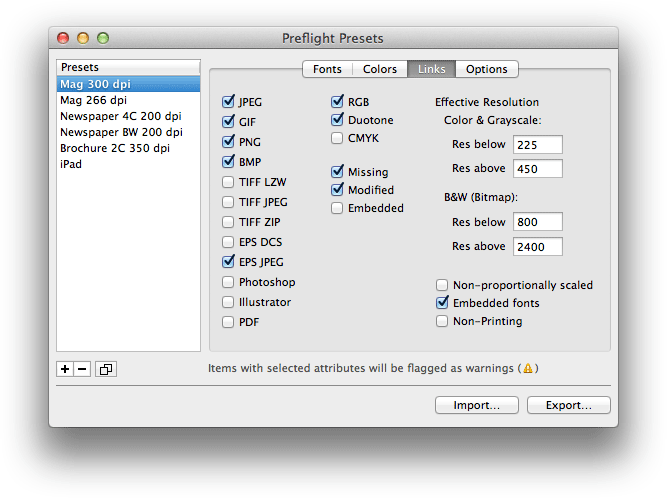 InPreflight can detect illegal names and locations according to your workflow specs, saving you from potential disasters such as lo-res images left in InDesign file by mistake. 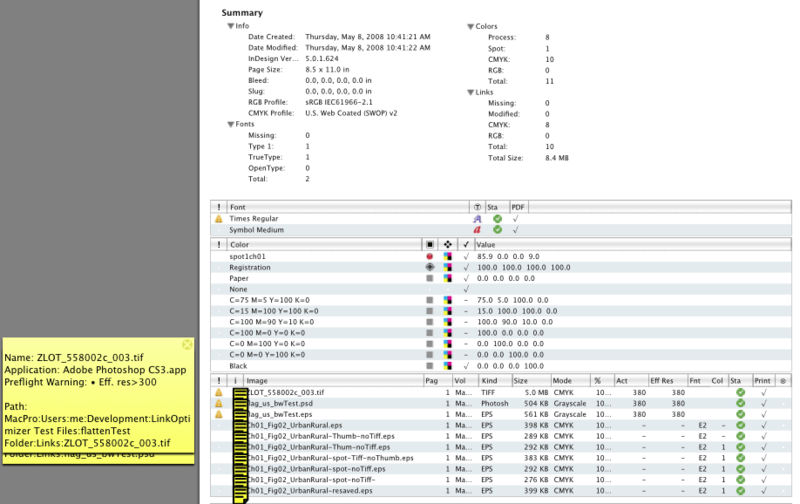 InPreflight reports are easy to analyze and understand… they look just like interactive screnshots of the InPreflight window. You can instantly print them or save as PDF files. 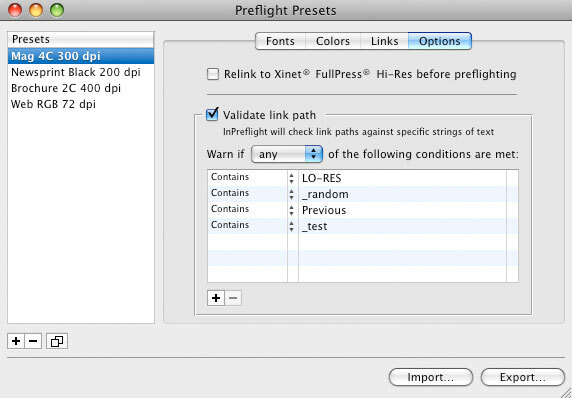 InPreflight reports many other link attributes not shown in InDesign, such as color mode of Illustrator files, raster EPS resolution, spot solors in Duotone and DCS files and others.